It's now April in Northern Minnesota and, of course, that means we just had a fresh blanket of snow fall over the weekend. Yes, that's spring here in the frozen north. I woke up on Saturday to find six inches of snow on the ground and my car. It worried me as I had a Women Build workday scheduled for that day. Would anyone show up? Would I even be able to show up?! Well, thank goodness for my Dad's four wheel drive Jeep! I got there with almost no problem and so did everyone else! Sarah Hopkins is ready to get workin'! What a day! It was more of a success than I could have dreamed up myself. We painted like madwomen! And the potluck lunch was divine! Thank you to everyone who made it a success! Habitat for Humanity is volunteers and Saturday would have been a flop without you all. Which brings me to this Summer. New projects are coming up! Projects that need people! Summer builds are always lots of fun and the momentum is great, especially at the beginning. So be thinking about the whole summer. How might you be involved? With your Church or a group from work? You and a close group of pals? Or show up when you can to give a hand? Do you want to work on site or perhaps prepare a lunch for the construction volunteers instead? Maybe you want to help in the office with newsletter or ride in the Habitat 500 in July. Or maybe you want to do it all! However you want to help, we'll be here, ready to plug you in and get you started. 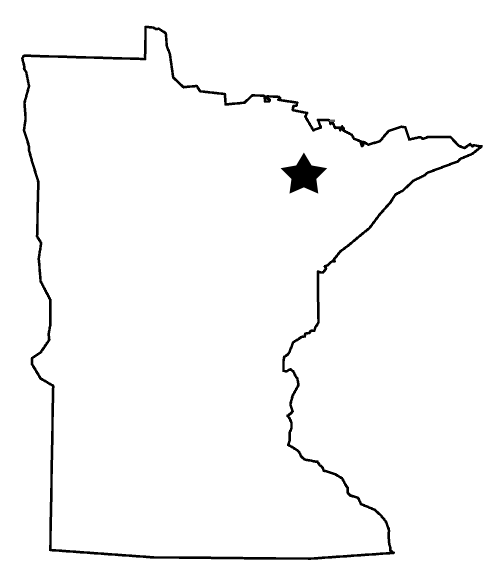 On June 11th we begin framing in West Eveleth and on July 18th we start framing in Hibbing. Both of these builds will need a steady stream of volunteers all summer. Consider joining us for a day or 10 or 20! There will be plenty of activity all summer long. Keep your eye open for Women Build as well-June 15th and 16th in West Eveleth and July 20th and 23rd in Hibbing. Call the office, 218-749-8910, or send me an email, vista@nslchfh.org for more information on this summer's events and projects. There's a place for everyone at Habitat, no matter your age or skill level! So come on over to our house! Habitat always has room in it's family for one more! Keep up the good work! We'll see you on the build site!